“Coming Clean”, Kevin Elyot’s first play premiered at the Bush Theatre nearly four decades ago. 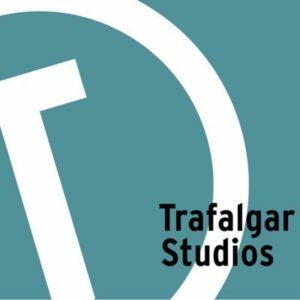 That it took until last summer to be revived, by Adam Spreadbury-Maher, at the King’s Head Theatre is quite astonishing. Now at Trafalgar Studios, it can bask in the long-awaited attention it deserves. Predating, by a decade, his breakthrough play “My Night with Reg” (which covers much of the same ground) it consequently suffers from being branded as his ‘first promising play’. Originally titled “Cosy” – a pun on Mozart’s opera which plays an important part – Elyot reluctantly compromised on the title but, thankfully, none of the material. 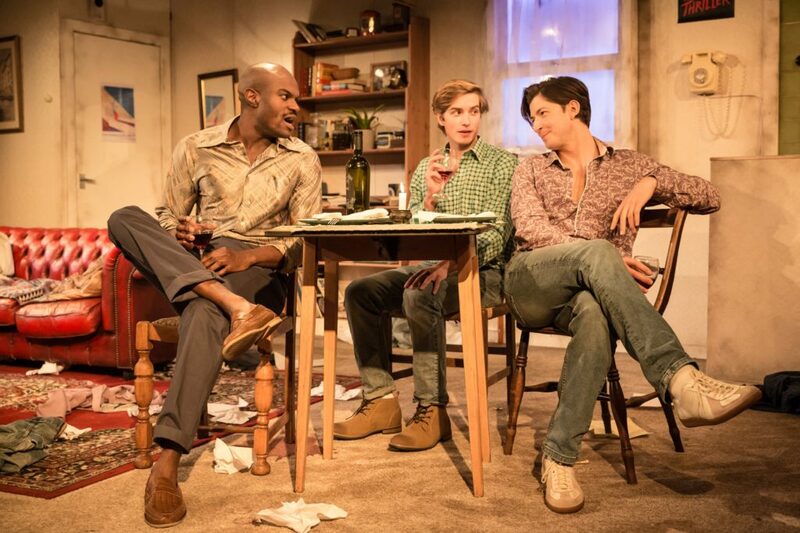 The play is set in a North London flat in 1982. Struggling writer Tony (Lee Knight) and his partner of five years, Greg (Stanton Plummer-Cambridge), seem to have the perfect relationship. Committed and in love, they are both open to one-night stands as long as they don’t impinge on the relationship. Into their lives walks Robert (Tom Lambert), a ‘resting’ actor doing a bit of cleaning on the side. It is no spoiler to reveal that cleaning is not the only service Robert does on the side, but the repercussions are what form the backbone of the drama. Central to the drama is whether fidelity is both emotional or physical, or whether the two can be compartmentalised; and whether total honesty paradoxically damages a relationship or whether ignorance is bliss (a dichotomy that uncannily foreshadows the misleading misnomer of the “Don’t die of ignorance!” campaign during the onset of AIDS). But it is a mistake to delve too deep. “Coming Clean’ is foremost a bittersweet comedy – and in my mind more sweet than bitter where the laughs outweigh the woe. The central characters’ neighbour, the donut-devouring William (Elliot Hadley), almost single-handedly holds the show together with bursts of colour and comedy. Hadley’s is an outrageously powerhouse performance with the lion’s share of the best lines. He chides but cherishes Tony, a complex character movingly portrayed by Knight. There is an interesting dynamic between him and Plummer-Cambridge’s growling Greg, with shifts of balance that are eventually toppled by the dashing Robert. Lambert manages to tacitly show us that there is a more calculating undertow to the rippling clumsiness of his ingenue façade. To call it a ‘gay’ play is, like most labels, an ineffectual tag; the questions addressed apply to anybody and everybody. Take away the sometimes graphic references to their sexual practices and these characters can become as generic as the audience; which is all-encompassing. That is part of the beauty of Elyot’s humour that overflows with sharp and brutally honest one-liners that we can all relate to. For that reason, the dialogue, too, crosses over into the present day with ease, never feeling dated. Instead, there is a period charm, enhanced by Amanda Mascarenhas’ design, the attention to detail of which is faultless. Nostalgia can often be confused with obsolescence. But Spreadbury-Maher’s production shows that a refusal to buck to the trend of updating in no way lessens the impact of the material. Yes, it is rooted in the eighties and in the gay, male culture; yet it resonates beyond boundaries and becomes universal. Which is what defines great theatre.